Shotcut is a free open source video editor for Windows, Mac and Linux.It supports the latest audio and video formats and popular image formats such as BMP, GIF, JPEG, PNG, SVG, TGA, TIFF as well as image sequences.Native timeline editing with No import required. You can mix and match resolutions and frame rates within a project. It also support 4K resolutions video.You can capture your webcam and audio. It supports network stream playback of HTTP, HLS, RTMP, RTSP, MMS, UDP. You can export in EDL file format and export single frame as image or video as image sequence. You can append, insert, overwrite, lift, and ripple delete editing on the timeline with 3-point editing. It supports Hide, mute, and lock track and multitrack timeline with thumbnails and waveforms. you can perform unlimited undo and redo for playlist edits. It also comes with lot of video/audio filters and video transitions effects. Some other features are external monitoring support, User Interface themes, Batch encoding with job control,Video quality measurement, Control video zoom in the player and comes with detailed media properties panel. You can download Shotcut Video Editor from the below download link. Just select the correct platform. Install Shotcut Video Editor on Ubuntu via snap package. For the linux system it comes as a portable package and snap package. Just download the linux portable file from the above link, extract and run the application. Or you can also install it via snap package. In ubuntu, open your terminal app and run the below command. 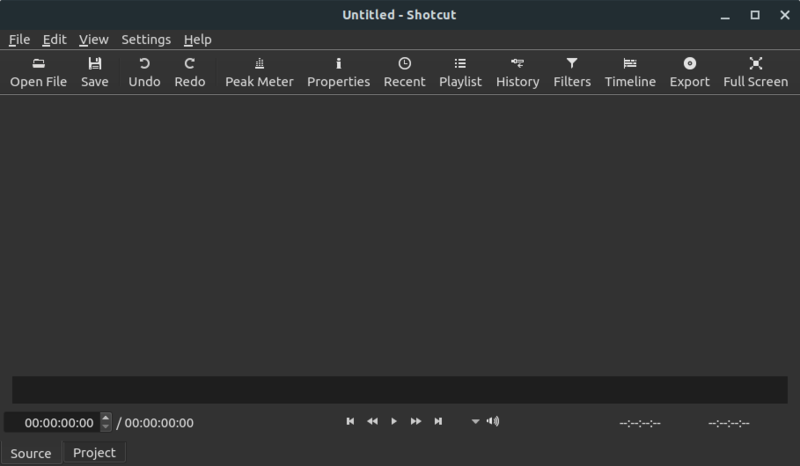 After the installation of Shotcut Video Editor, click the show applications in the Ubuntu Gnome dock and type Shotcut in the search box and click Shotcut to open it. For Unity you can search Shotcut from ubuntu dash.